Born in Bielefeld, Germany in 2000, South Korean violinist SongHa Choi is the Winner of Senior 2nd prize and the Senior Audience prize in the Yehudi Menuhin International Violin Competition in 2016. 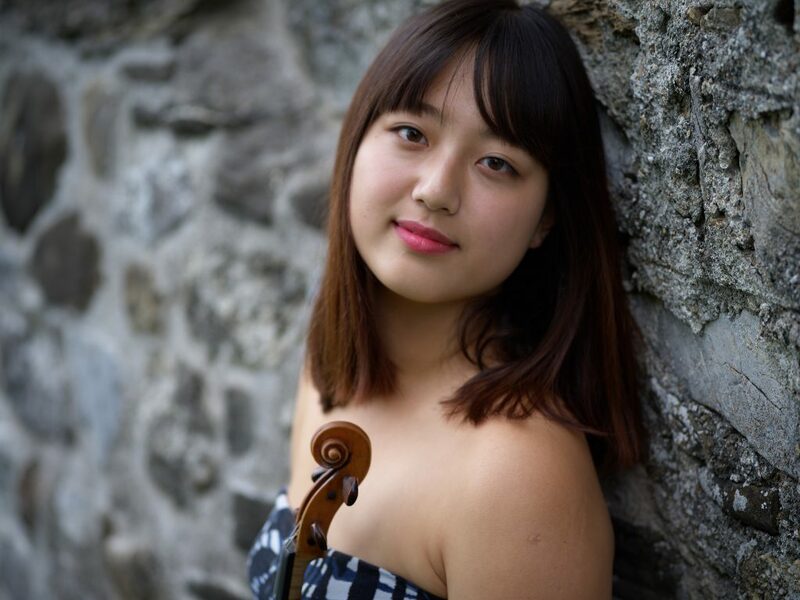 She has won a number of national and international competitions, including the 1st prizes at the 2015 Jeunesses Musicales International Violin competition, Hanguk­ilbo competition, Eumyeon Music competition and Buam Music competition, and was a semi finalist at the 2018 Premio Paganini international Violin competition. After finishing her studies at the Korea National Institute for the Gifted in Arts and pre­college course of Korea National University of Arts in Seoul, she is currently studying at the Yehudi Menuhin School with Professor Lutsia lbragimova. She has given solo performances in Gower Festival, Bilkent Violin festival, Varna music festival, Gstaad Menuhin Festival, 2017 World Economic Forum in Davos and the US embassy in Berlin and she was an active participant in 2017 Kronberg Academy Violin Festival, 2017 Gstaad String Academy and 2018 Verbier Festival Academy. SongHa has performed as a soloist with numerous orchestras, including Westminster philharmonic Orchestra, Yongin Philharmonie Orchestra, Thames Philharmonia, RAM Symphony Orchestra and Sinfonia of Cambridge. She has also given solo recitals in South Korea, England, Bulgaria, Romania, Germany, Switzerland, Holland, Belgium and Turkey, and performed at prestigious concert venues such as the Southbank Royal Festival hall, Wigmore hall in London and the Concertgebouw in Amsterdam. If you are interested in working with SongHa, please get in touch with the EMCY Office.